Home » Diet » Top 5 Health Benefits of Chickpeas! Chickpeas, aka garbanzo beans, belong to the legume family and are among the most easily digested thanks to their thin shell. You probably know that your beloved hummus (or houmous) is made from chickpeas, but did you know that they were used as an alternative to coffee in the 18th century? They’ve been used in many different ways in the kitchen for centuries now, but just how good are they actually for you? Read on for our Top 5 Health Benefits of Chickpeas! Chickpeas are loaded with both soluble and insoluble fibre which is important for keeping your digestive system working smoothly. As soluble fibre absorbs water to form a gel-like substance inside the digestive system, it can help prevent or treat constipation; insoluble fibre can also improve bowel-related health problems. On top of that, fibre keeps your pH balance in check preventing many toxins and bacteria from getting into your gut. A cup of chickpeas will provide you with around 15 grams of plant-based protein, which is a great source for vegetarians and vegans. However it doesn’t contain all the amino acids your body needs, so make sure you combine them with (whole) grains, nuts and/or seeds. Chickpeas can support your healthy weight management. As they are high in both protein and fibre (plus relatively low in calories), you will feel fuller for longer. It also contains complex carbohydrates, which means you won’t get ‘sugar spikes’ and it will help to reduce your overall craving to eat more into the bargain. 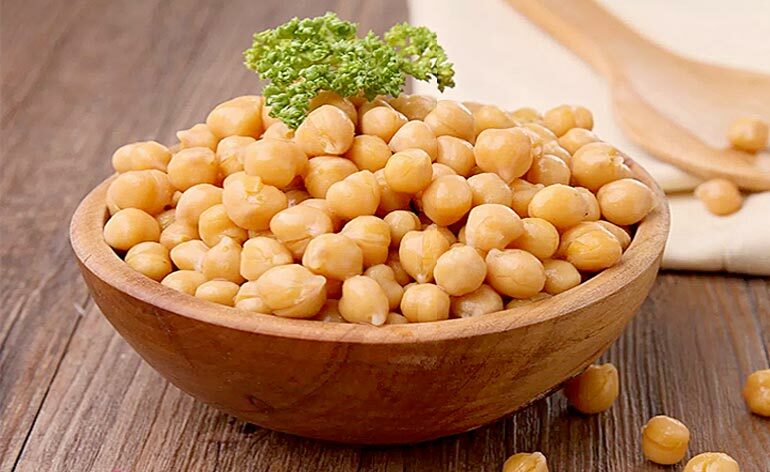 Research has shown that chickpeas help in reducing the level of cholesterol in the blood due to the presence of soluble fibre mentioned above. In addition, thanks to being high in complex carbohydrates, they help regulate your blood sugar level as well. Therefore they can be especially beneficial for people who are diabetic, or suffer from hyperglycemia and for people who have blood sugar issues in general. A cup of chickpeas contains 84% of your daily manganese and 71% of your daily recommended intake of folate. An imbalance of folate in your diet can lead to numerous health complications, including anemia and weakened immunity. 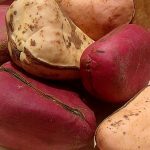 They are also high in magnesium, iron and copper, which will not only keep your body healthy but help maintain your energy levels as well. Okay, now you know how good chickpeas are for you but how should you go about eating them? Check out some of our healthy, tasty and easy to prepare chickpea recipes. Are you already a chickpea ninja in the kitchen? Share your recipe below or @KeepFitKingdom ! 5 Top Overhead Press Variations!